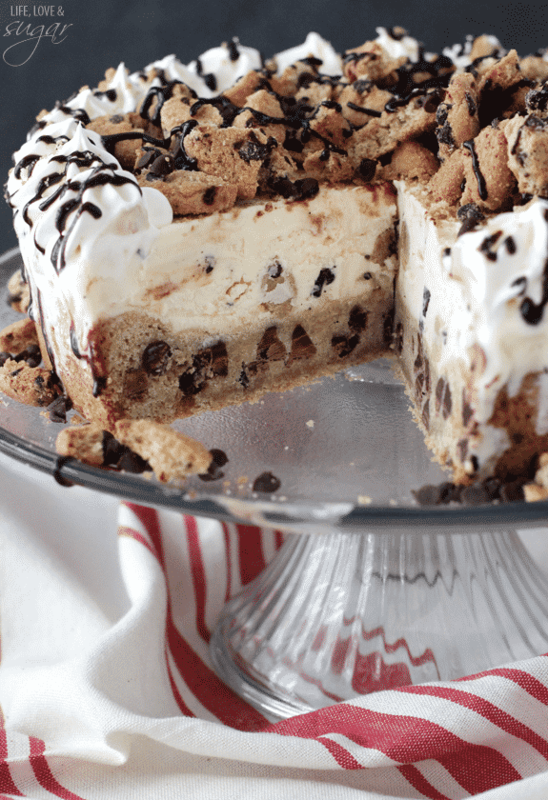 This Chocolate Chip Cookie Ice Cream Cake is a fun marriage of cookie and ice cream and is the perfect treat for summer! Speaking of summer, we enjoyed our first weekend out on the boat last weekend. The hubs had technically been out the weekend before without me, but we’ll just pretend it was his first too. We spent Saturday evening out and brought Jessie. She loved being out there as the sun was going down – less hot. 🙂 Then we went out with some friends for a bit on Sunday. As usual, I got my first bit of sunburn. Not too bad, but a bit. I did use sunscreen, but that stuff comes right off in the water and right now the water is still so refreshing we had to swim. Not too cold, but cool. I’m sure in just a few weeks it’ll get warm. Gotta enjoy it while we can! 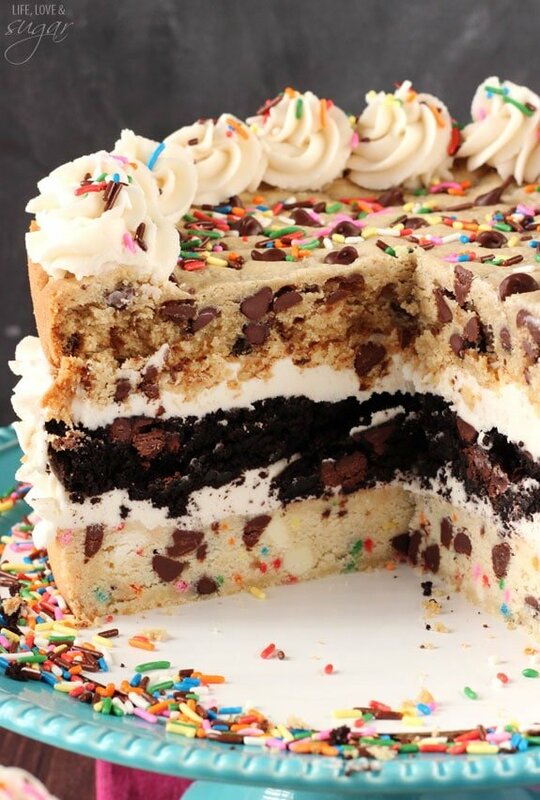 So this cake was actually born out of a love for chocolate chip cookie ice cream sandwiches. You know – the ones you can buy in the freezer at like, the gas station. Sounds glorious, right? But I always loved those as a kid so I decided it’d be fun to make a giant one! Sadly this doesn’t look like a sandwich. Well, it did the first time around. Problem was, the cookie gets pretty frozen. Cutting through one cookie on the bottom and eating it is fine. But two? 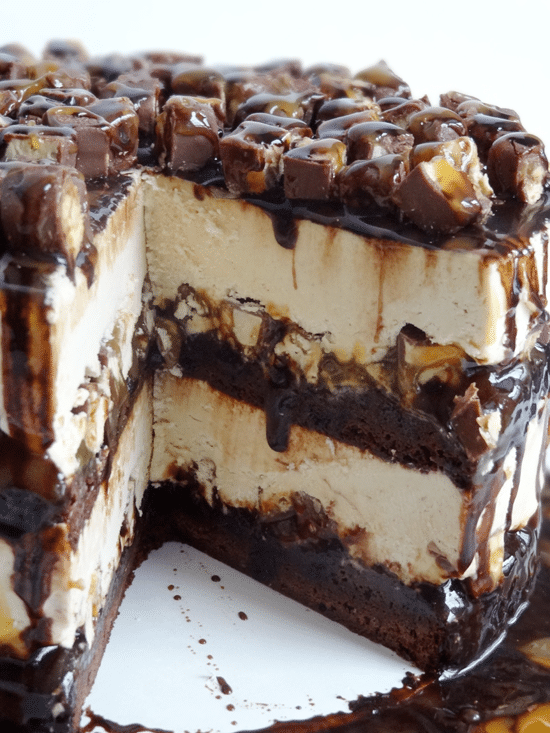 Two makes an ice cream cake that goes everywhere when you try to cut it. Sad, but true. 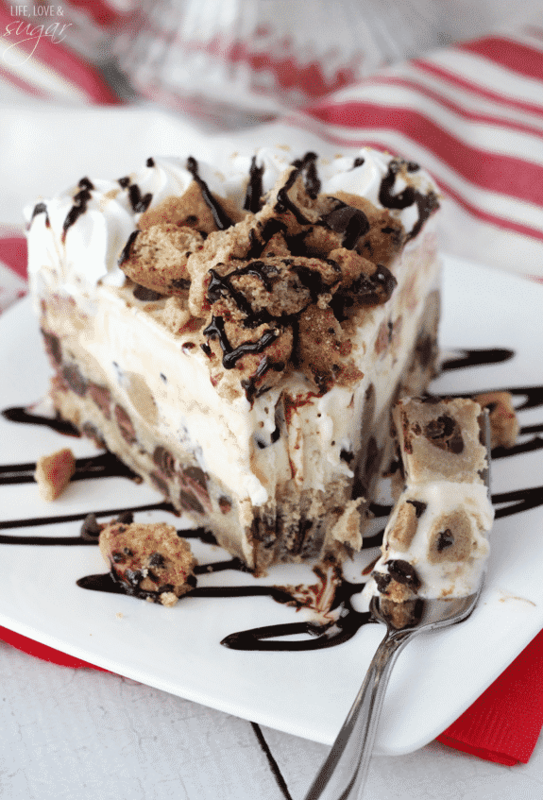 This bad boy has a layer of cookie (made from my favorite chocolate chip cookie cake), a layer of cookie dough ice cream, some chopped up mini Chip Ahoy, whipped cream and chocolate sauce. Boss. Now normally I’d make my own no churn ice cream for an ice cream cake. It’s the jam and I love it. But I switched it up this time just to keep it interesting and I went with store bought. It’s just so easy. I have to be honest with you though. I still love my no churn ice cream. It’s the best. It’s so much creamier than a lot of store-bought ice creams. So, if you want to go that route, here is the cookie dough version you’ll want to use. It’s an easy switch-aroo. No matter which way you go with the ice cream, this baby is delicious! Such a fun treat that’s sure to be a hit! 1. To make the cookie, preheat oven to 350 degrees. Line the the bottom of a 9 inch springform pan with parchment paper. 4. Add flour and baking soda and mix until completely combined. Dough will be thick. 6. Press the dough into an even layer in the bottom of the cake pan. Bake for 18-20 minutes or until the edges are slightly golden. 7. Remove from oven and allow to cool mostly in the cake pan, then transfer to cooling rack to cool completely. 8. While cookie finishes cooling, take ice cream out of freezer and allow it to soften. 9. Place cooled cookie back into springform pan. 10. 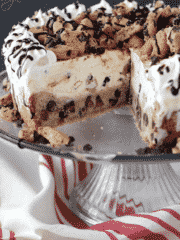 Top cookie with ice cream and spread into an even layer. Place in freezer to freeze completely. 11. Once frozen, remove cake from springform pan. Pipe edges with whipped cream. 12. 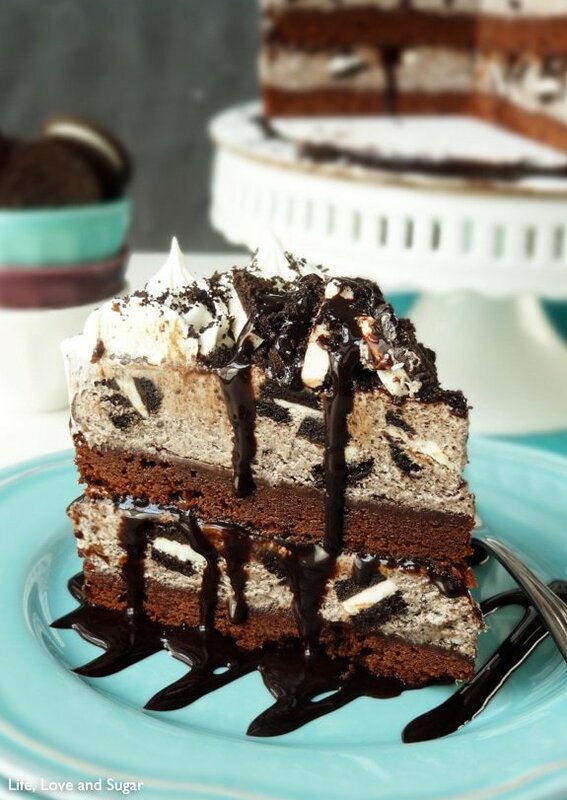 Fill in the top of the cake with chopped chips ahoy cookies and drizzle with chocolate sauce. 13. Freeze until ready to serve. Thaw for about 10 minutes before ready to serve. WOW. Okay, I’ve been waiting for another Lindsay show-stopper, and here it is! Seriously, I know I’ve mentioned it before, but WHEN are you starting that shipping service where willing people pay gobs of money to get you to send cakes to them!? GET IN MY BELLY! Seriously. This looks so goooooood!!!! 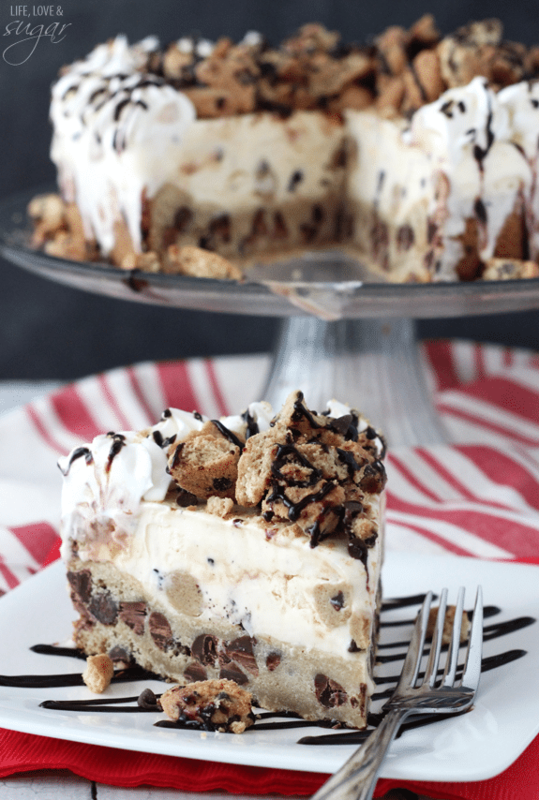 I love cookie dough and so I’m certain I’d love this ice cream cake! Perfect for a summer party!!! This is awesome!! 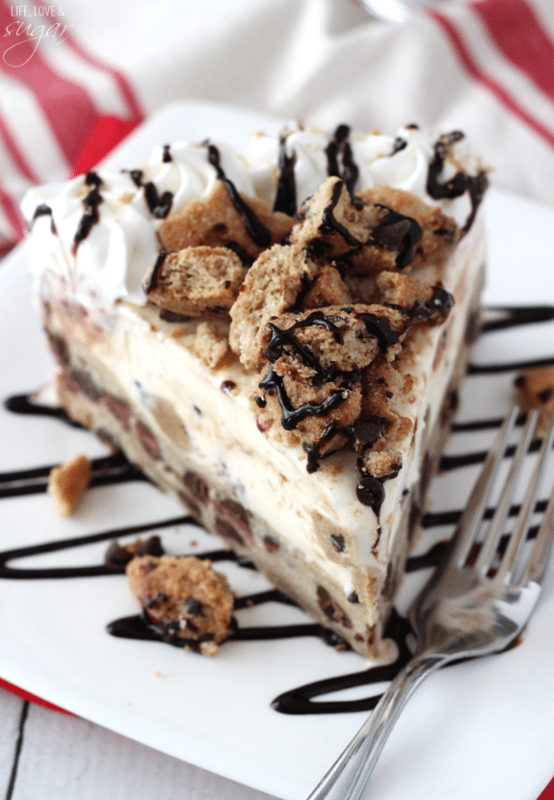 I love that cookie ice cream pie. Every single one of your cakes goes straight into my I need this pile. Seriously you make the best cakes and this is no exception. 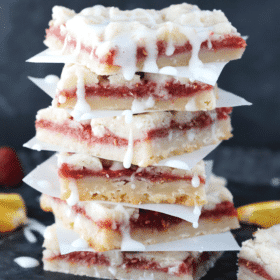 This looks like a perfect summer dessert! 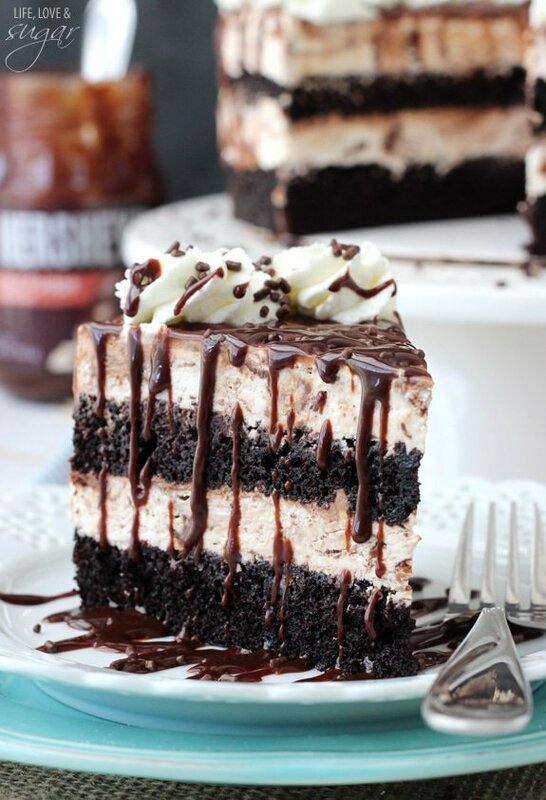 I love ice cream cakes and this is one that I totally have to try! And it came out so beautiful!!! What a fabulous summer treat! 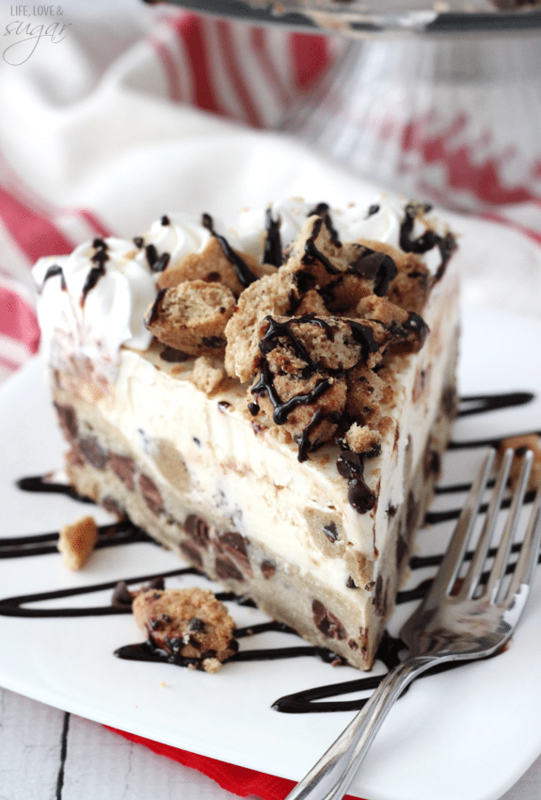 I have some cookie dough ice cream lovers here that would fall in love with this cake! 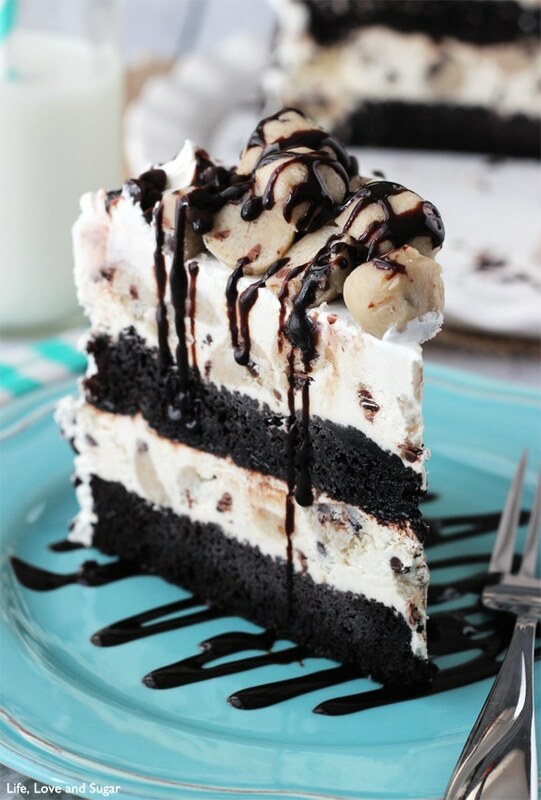 This is the best kind of ice cream cake!! YESSSS! I am obsessed with chocolate-chip-cookie-anything and I love those prepackaged chocolate chip cookie sandwiches though. This looks a million times better, though! 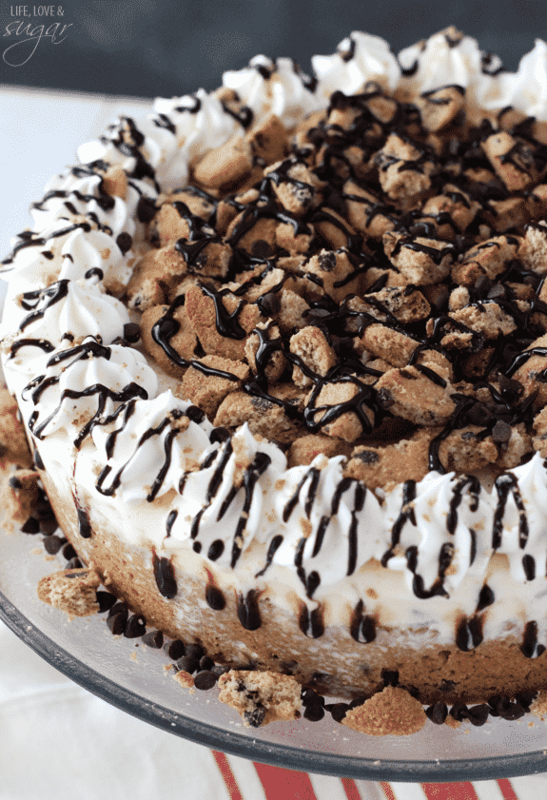 There is just SO much to love about this incredible dessert! First of all, it looks STUNNING! I mean seriously, how did you not just face plant in the middle of your photoshoot?! Second, there is cookie everywhere and I love that. Well done! 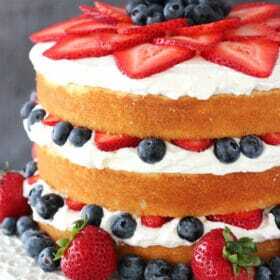 All I want in life is this cake! Drool! 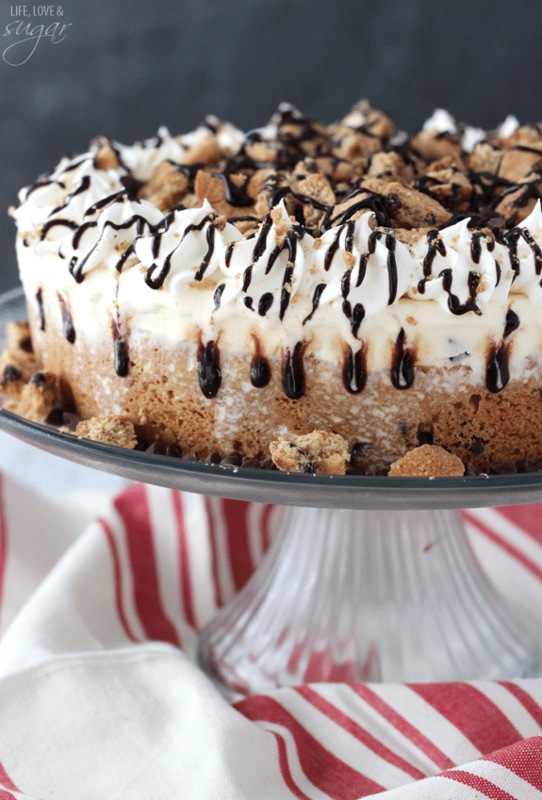 This ice cream cake and a boating trip is the best way to start summer! I found your website yesterday and its wonderful!! I too love sweets so much and I cant wait to make your delicious creations. Thanks!! My youngest son will be 7 next Sunday. He said he wants a cookie and ice cream together for his cake so I googled it 😉 and found this! I can’t wait to make it! We did! Your cookie recipe is so yummy!! I made the recipe, but my cookie dough got too frozen so when I took it out to serve you couldn’t even through it, but when I left it to thaw 10 mins, the ice cream started melting right away. I was wondering if you had any suggestions that you do, that would help me? I had the same problem, so I would make it in a larger pan next time, or use less cookie dough. The cookie layer was way too thick to cut through easily. I even baked the cookie so that it was slightly underdone, hoping that it would be softer to cut through. It wasn’t. I also had the same problem! The cookie was delicious though but we struggled to cut it and had to use our strongest man to tackle the cookie! It was a fun show and everyone enjoyed it lol but I would also like to know what we can do to solve this issue ???? Can this be made a few days ahead of time? Yes, it should be fine frozen ahead of time. What if you want to substitute salted butter for unsalted? If you use salted butter, just leave out the additional salt listed. I don’t have a springform pan can i just line the whole thing with parchment for easy removal? Sure, that should be fine. 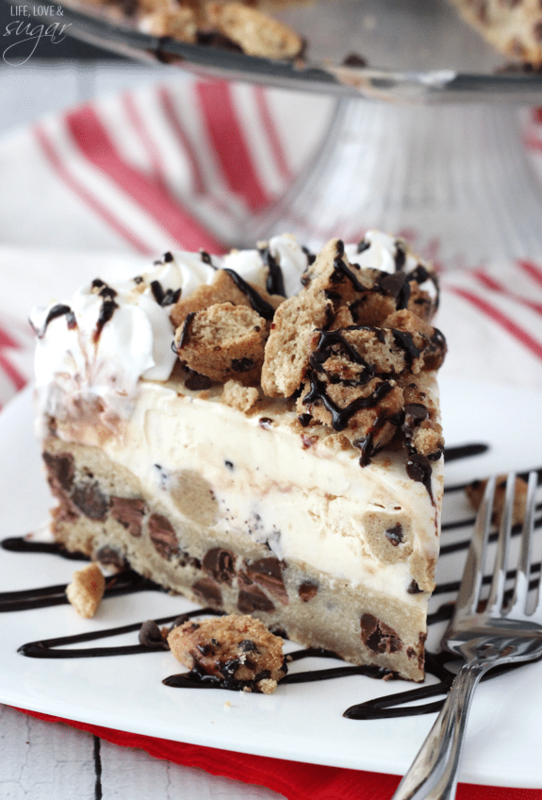 Can I please know how to order a chocolate chip ice cream cake. I do not sell my cakes, I just post the recipes on my website.